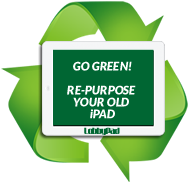 Engage you guests with an interactive touch screen kiosk. 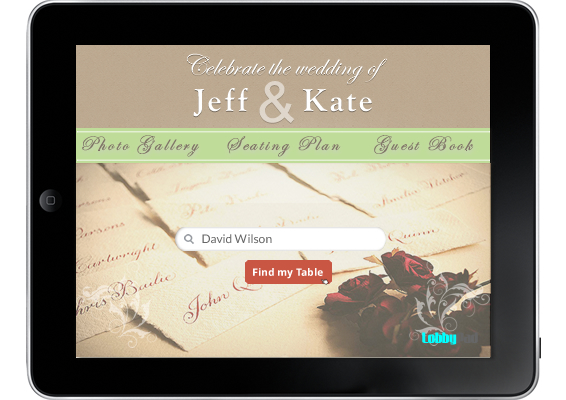 Your guests will enjoy a fun, exciting and easy to use self-service wedding concierge to find their table, view picture gallery, record a video tribute and more. 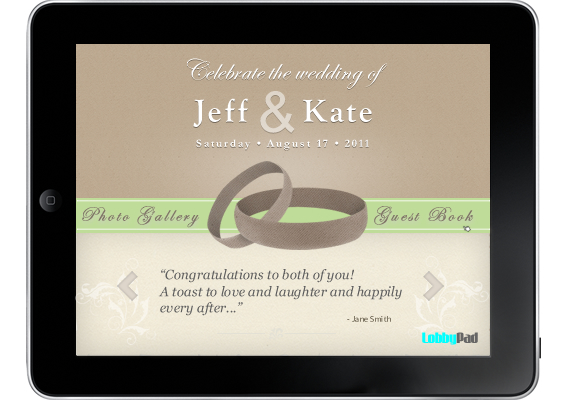 Make LobbyPad an integral part of your wedding reception and a welcoming experience for your guests! Plan your guest list and seating arrangement. 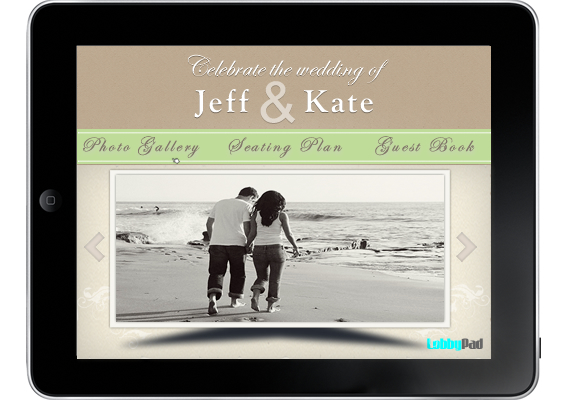 Provide your guests with entertainment and more!